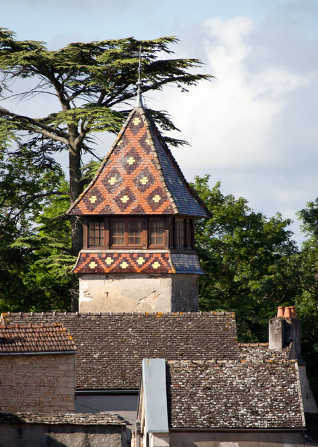 Monthelie, a very charming Burgundian village, is built in the middle of rich vineyards, adjoining Volnay and Meursault and 7kms south of Beaune. 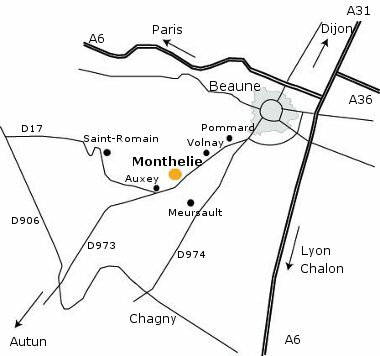 Its name comes possibly from Montelyum, ‘Mountain of the Sun’; from Mount Lyoei, ‘Mountain of Bacchus’, or more likely, from the Celtic Mont Olye,’ high point on the track’. Although opinions diverge, the latter etymology is most consistent with the topography of the country. You are cordially invited to come and visit our cellars and to taste our wines. As you will understand, our business takes us where the work is the most urgent. So we ask you to book an appointment. Note however that we are closed on Sundays.